This morning we broke ground on our tenth rebuild from the Waldo Canyon fire in the Mountain Shadows area on the west side of Colorado Springs. 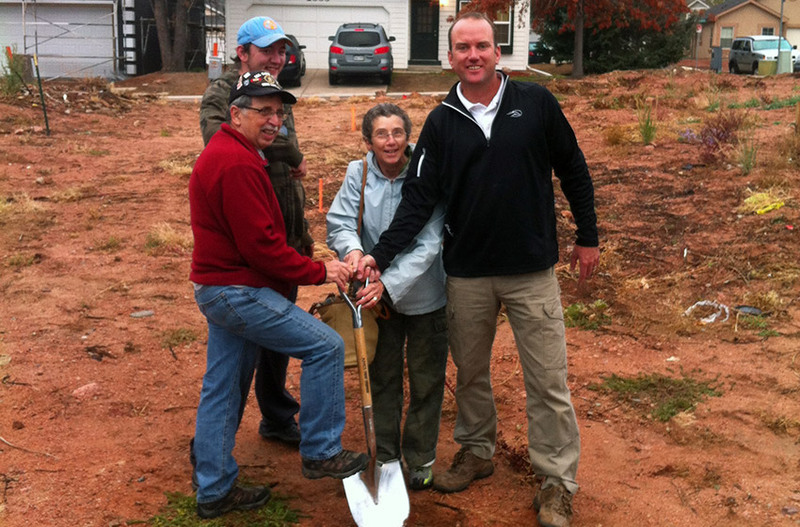 We are looking forward to building a brand new custom home for John and Loretta Armstrong. The Armstrongs lived in the Parkside neighborhood in the Mountain Shadows area, and their home was destroyed in the Waldo Canyon fire in summer of 2012, and we’re honored to be able to help them start to rebuild their lives, starting with their home. We used the Armstrong’s home as the inspiration for our Wetterhorn Peak floor plan. Loretta Armstrong was recently interviewed by NPR in the Sunday Weekend Edition on the victims of the Waldo Canyon fire.